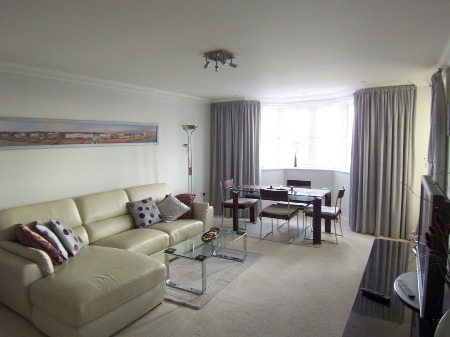 This luxury apartment is managed by the owner ensuring you the best possible service. 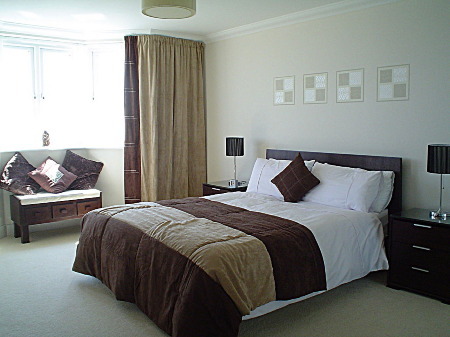 We can also arrange for a weekly clean and change of linen if required. 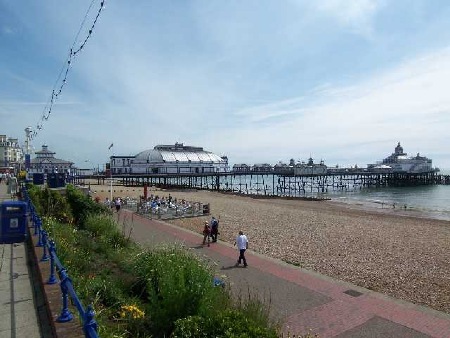 Located in the prime position on Eastbourne's seafront and close to the Town Centre, Devonshire Mansions is ideally situated as everything is within easy walking distance. All rooms have direct sea views and there is a sunny, secluded balcony from which you can relax with a glass of wine and watch the world go by. In August the famous Airbourne display takes place right outside so you can have a bird's eye view of the aircraft as they fly by. 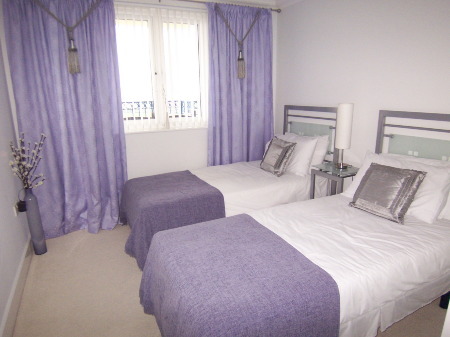 There is secure underground parking with lift access to the properties. A car is not essential as everything is within easy walking distance making this an ideal location. The spacious open plan lounge is beautifully furnished with cream leather sofa, dining table seating four, display cabinet with cut crystal glasses and champagne bucket, 40 inch Sony LCD satellite TV, DVD player, WiFi ,selection of cd's, dvd's and books. 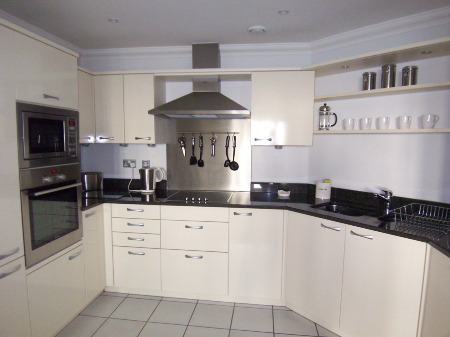 The open plan kitchen has everything you could possibly need to cater for a snack to a banquet. It includes a fridge/freezer, oven/hob, microwave, dishwasher, washer/drier, toaster, kettle, all cutlery, crockery, pots and pans and even cut crystal glasses. The master bedroom has a king size bed, bedside cabinets, chest of drawers,spacious wardrobe, window seat, radio alarm clock, hair-dryer and spacious en-suite bathroom with bath and walk-in shower.All linen and towels are supplied. The twin bedroom with two single beds, side table with lamp and fitted wardrobe.This delightful bedroom also has direct sea views. 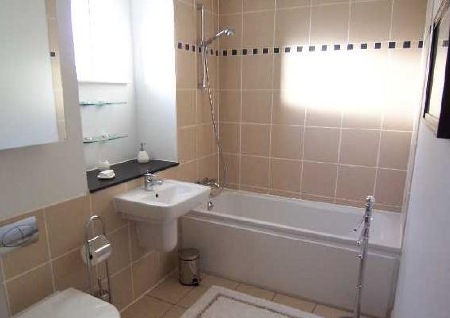 The luxury family bathroom with underfloor heating, bath and overhead shower. The spacious en-suite with walk-in shower cubicle as well as a bath with overhead shower, heated towel rail, mirror with shaver point and luxurious underfloor heating. The Victorian Pier just a few minutes walk from the apartment. 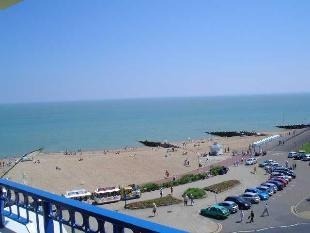 The apartments are available for rental ( minimum 3 months) on short term tenancies. 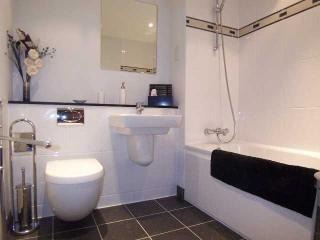 Prices from £1550 pcm plus bills. For short rentals of less than 6 months an all inclusive price can be arranged. Please request a quote.